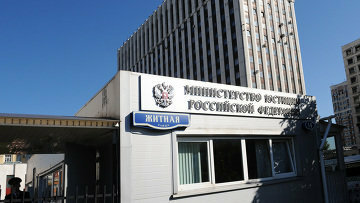 Justice Ministry to simplify compensation for poor detention conditions | Russian Legal Information Agency (RAPSI). MOSCOW, April 9 - RAPSI. The Justice Ministry has proposed allowing suspects and convicts to demand monetary compensation for poor conditions in custody and prisons, even in cases where the responsible officials have not been proven guilty, the ministry said in a report on Tuesday. The interim report on the execution of European Court of Human Rights judgments has been posted on the ministry's website. According to the current law, convicts are entitled to claim material and moral damage for substandard conditions in remand centers only in cases where state bodies or officials have been found guilty. The European Court saw this as one of the key flaws in the compensatory means of Russia's legal protection system. Earlier this year, the European Court of Human Rights delivered the latest in a series of "pilot judgments", this one concerning the poor conditions of pretrial detention in Russia. It stated that Russia had to work out a schedule for developing effective means of legal protection so as to resolve the systemic human rights violations at issue. 12:32 09/04/2013 he Justice Ministry has proposed allowing suspects and convicts to demand monetary compensation for poor conditions in custody and prisons, even in cases where the responsible officials have not been proven guilty.